The Bombay Stock Exchange (BSE), Asia’s oldest bourse, launched its first Sharia-compliant stock index in December in a move that could boost offerings of exchange traded funds (ETFs) and mutual funds to tap into India’s fast-expanding economy. 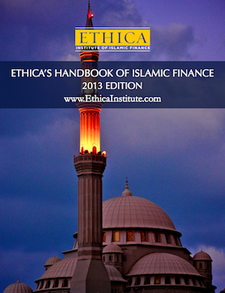 Islamic finance in India, home to the world’s second-largest Muslim population after Indonesia, is still in its infancy and the new benchmark should help channel socially-conscious investor savings of more than $1 trillion in the coming years, including from the cash-rich Gulf. The BSE TASIS Sharia 50 Index includes blue chips like energy conglomerate Reliance Industries, top software services exporter Tata Consultancy Services, leading mobile phone operator Bharti Airtel, carmaker Maruti Suzuki and engineering and construction giant Larsen & Toubro. There has been a Sharia-based ETF in operation since 2007 in India, and also many Islamic-compliant brokerage houses like Parsoli and Idafa, but this is yet to pick up in a big way. “The BSE has the largest number of Sharia-compliant companies in the world, more than the whole of the Middle East and Pakistan,” said Sharique Nisar, director of Taqwaa Advisory and Sharia Investment Solutions or TASIS which corroborated with the BSE on the index. If the Sharia 50 had been launched in early 2008, it would have given better returns than the top-30 Sensex and the wider BSE-500 index, according to the BSE. The 30-share Sensex, India’s mostly widely tracked index, was one of the world’s best performers in 2010, rising 17.4 per cent. India’s $1.3 trillion economy, Asia’s third-largest after China and Japan, is expanding at around 9 per cent annually and the government aims to push growth to double digits in the years ahead. With about three-quarters of India’s 1.2 billion people below the age of 25 years, the country is destined to reap a demographic dividend as the productive younger population boosts consumer spending and pays for massive investment in large infrastructure projects such as highways, power, airports, flyovers and townships. “The long-term outlook for the Indian economy is very bullish and the Sharia-compliant index will be a huge booster to attract a new class of investors,” said Biju Dominic, who advises retail clients in Mumbai. He said pension funds from Saudi Arabia to the UAE, and from Malaysia to Indonesia, that have strict religious rules for investment could use the index to pour funds into socially responsible sectors in a region which is growing rapidly. The BSE’s Sharia 50 comes four years after the Standard & Poor’s launched similar indices elsewhere, spawning a series of ETFs and mutual funds. S&P had also partnered the National Stock Exchange, India’s biggest bourse and the main market for derivatives, to launch S&P CNX Nifty Sharia and S&P CNX 500 Sharia index. However, only one ETF — the Sharia BeES by Benchmark Mutual Fund — based on the CNX Nifty Sharia has been launched so far. Still, with India’s pace of economic expansion expected to overtake China’s growth rate in the coming years global investors would increasingly look to grab a slice of the market With more Sharia-compliant benchmarks and greater awareness, the prospect for attracting a new class of investors is upbeat. Madhu Kannan, managing director and chief executive of the BSE, said the Sharia 50 index could give Islamic and other socially responsible investors from the Gulf, Europe and South-east Asia another means to access the Indian market. Foreign portfolio investment in Indian companies has exceeded $1 trillion since the market was opened up in 1993, and there is another $18 billion in debt instruments. Domestic investors, especially from the Muslim community, will also find the index handy. “The creation of the index will help promote financial inclusion of the Muslim population in India and attract investment flows from international funds that must adhere to Sharia norms,” the BSE said. Oil and gas companies account for almost 30 per cent of the market capitalization stocks in the Sharia 50, followed by capital goods at 19.4 per cent and information technologies at nearly 12 per cent. The BSE, which started operations in 1875, says the Sharia 50 is the first Indian index to cap the weighting of stocks at eight per cent, which increases diversification and makes related products more attractive to global investors. Ambit Capital in collaboration with QInvest, Qatar’s leading investment bank, launched a $150 million open-ended Ambit QInvest India Fund in 2010, which has been touted as the largest Sharia-compliant India fund. QInvest had acquired a 25 per cent holding in Ambit Corporate Finance last February for Rs2.5 billion, and recently bought 28 per cent stake in Asian Business Exhibition and Conferences, India’s leading exhibitions and conferences organiser. Sharia BeES, an exchange traded fund, was launched by Benchmark Mutual Fund more than two years ago and mimics the S&P CNX Nifty Sharia Index, which comprises companies in energy, software services, automobiles, engineering, metals, health care, construction, telecom and consumer goods. The passively-managed fund has assets under management of Rs9 million, with annual returns of 10.4 per cent. Minimum investment is Rs10,000. Taurus Mutual Fund collected about Rs50 million for its Sharia-compliant Taurus Ethical Fund when it was launched in February 2009. It invests in the companies that are part of the S&P CNX 500, with a preference to more mid-cap firms. Being an actively managed diversified fund, it has outperformed the benchmark with annual returns of 23.8 per cent. It has assets worth Rs254 million. Parsoli Corporation is one of the few Islamic finance firms in India to be involved in equity brokerage and Sharia compliant investment activities. Others include Hidaaya Consultancy Services, Bearys Amanah and Idafa Investments.